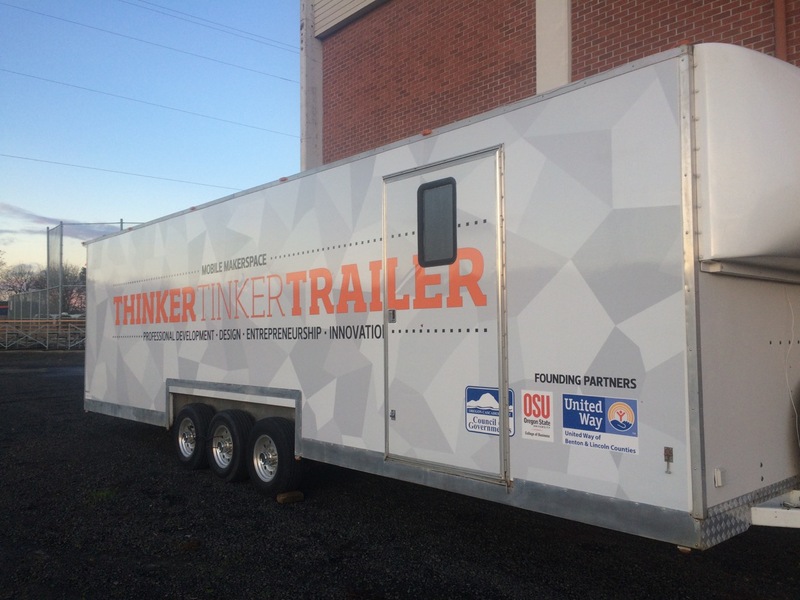 Here’s the idea: Build a mobile makerspace – a transportable trailer consisting of small-scale fabrication and design tools that teach kids about entrepreneurship and collaborative problem solving. Take this new makerspace around Oregon, encouraging rural, minority, and other youth to tinker and invent. Spark their creativity. Help them develop new skills in innovation. Ultimately get them interested in going to college. Along the way, undergraduate students who lead the program also gain valuable learning experiences. It sounds like an ambitious project on its own. But actually, explain College of Business juniors Steven Miller and Moriah Shay, all this is just phase one. Here’s phase two: Scale it. Make the program replicable across the nation, and multiply its impact in countless communities. Winners of a national social venture competition, Moriah and Steven know how to dream big. They also know their big idea couldn’t get off the ground without a lot of support. They've received help from the College of Business scholarships and grants. 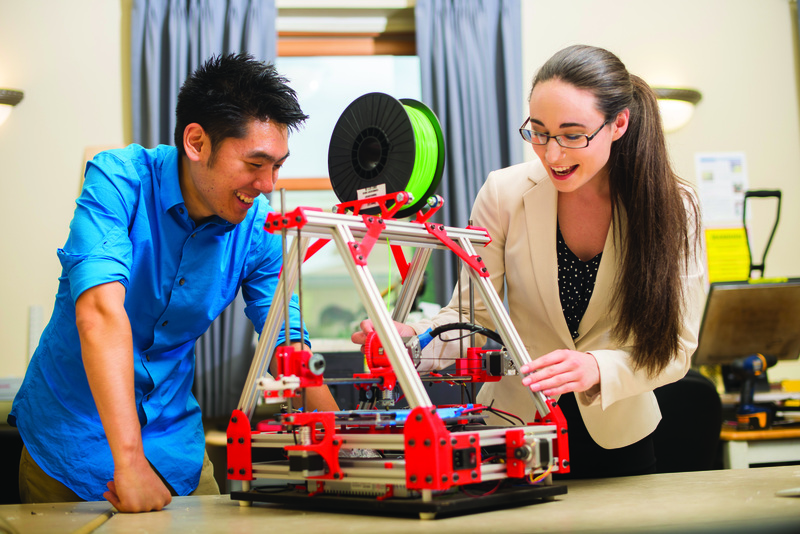 This summer they assembled a team of engineering students to create a prototype mobile makerspace with funds including a $9,000 grant from the OSU Women’s Giving Circle. The project has a deep personal connection for both students. Moriah grew up in a rural community, not expecting she would be able to go to college. Relentless hard work and scholarships brought her to OSU - the first in her family to pursue a college education. Steven was born to an impoverished family in South Korea. He wonders what his life would have been like if he hadn’t been adopted by a family in Oregon. “It’s made me want to make a difference in someone else’s life,” he said. "The support of donors and alumni makes a huge difference for students like me and my future in business," Moriah said. "I'm grateful for such a strong support system." Please consider giving to the Dean’s Fund for Excellence. Your gift of $1,000, $500, $250, or any other amount will help today’s students develop into tomorrow’s business leaders.